One thing I have learnt from being a make-up enthusiast is the importance of good make-up brushes. I used to get myself in a state wondering why my eye make-up didn’t look as blended as the pros and it used to drive me crazy! Then I upgraded my brushes and I haven’t looked back since! 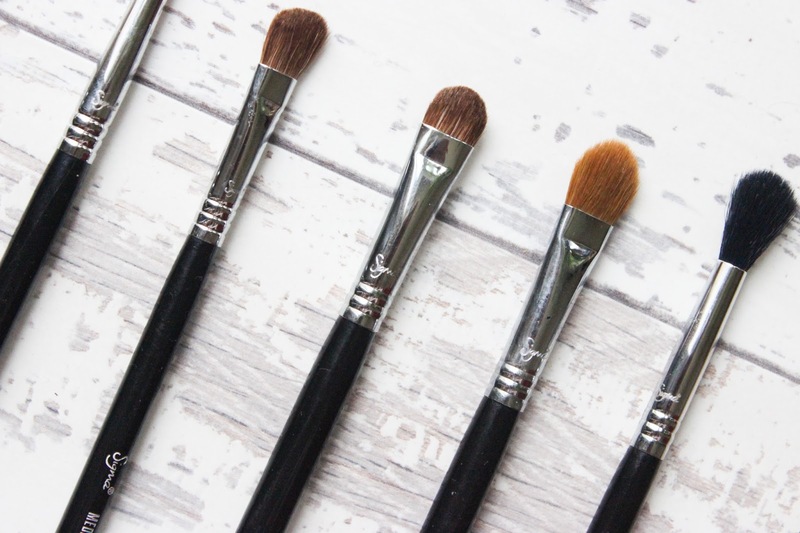 Sigma are veterans in the game when it comes to make-up brushes, they are constantly inventing brushes for every need and every preference which is why I love them as a brand! I am a Sigma affiliate (and proud to be one) and I would truly recommend becoming one if you love make-up as much as I do or if you’re an MUA of course. Sigma kindly sent through their Basic Eyes Kit | $77 which consists of 7 essential brushes for creating a flawless eye look. In short the Basic Eyes Kit is ideal for make-up lovers who really want to up their eye shadow game or new MUA’s who are in the process of building a kit. 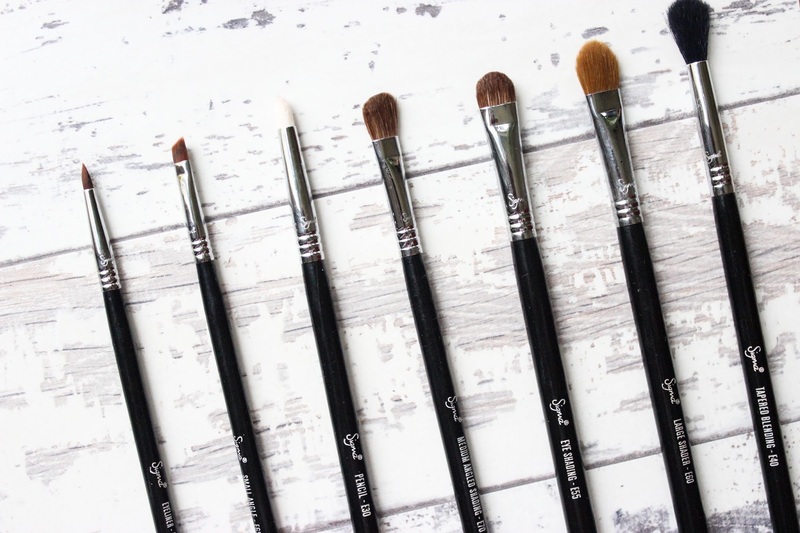 All brushes in this kit cover every eye shadow look from brow highlight to liner which is actually really handy but most importantly for me this kit contains my favourite brush – the Sigma E40. If you watch my YouTube channel you’ll know I’ve been in love with this brush since I bought it last year. It helps to effortlessly blend out eye shadows like a dream. The brushes were soft and believe it or not, having the brushes named and using them for their actual purpose makes a big difference as silly as it sounds. I used to be the type who would pick up any brush my hand could find for anything one of my shadow needs at the time, but this makes life difficult. Using a pencil brush for its intended use allows me to distribute my eye shadow as I envisioned – I’m telling you it makes all the difference! The Sigma brushes themselves are soft but sturdy. There’s no unwanted scratching of the bristles and no shedding to date. I’ve washed these brushes three times since October when I took the pictures above and I can report that I’ve had no wonky handles, discolouration or misshaping of the brushes. All in all I can honestly say I am more than impressed with the Basic Eyes Kit and Sigma brushes in general. Do you have any Sigma brushes? 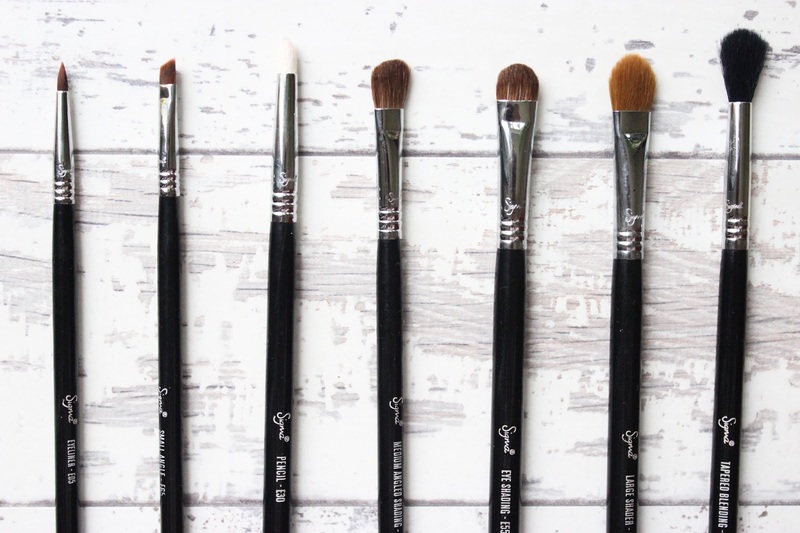 What is your favourite brush from Sigma?